I recall a televised concert of young voices hosted by Leontyne Price in which she introduced “the marvelous Marvis Martin.” Today, I wish to introduce our younger Parterrians to the magical Martha Mödl to commemorate the opening of the Bayreuther Festspiele which opens tomorrow afternoon. This week’s upload is the festival’s very first post-war Tristan und Isolde in which Herbert von Karajan leads Mödl, Ramon Vinay, Ira Malaniuk, Ludwig Weber and Hans Hotter from 1952. Mödl was one of my earliest influences as Brünnhilde on the first complete opera LP set that I owned as a child, the 1954 EMI Wilhelm Furtwängler Die Walküre which also ignited my lifelong obsession with Leonie Rysanek. Among her other Met roles were Isolde and the three Brünnhildes. She was much happier in Germany and Austria. 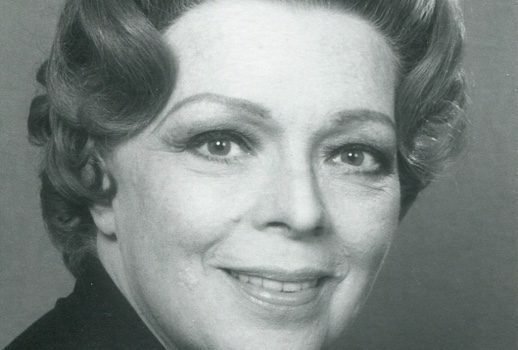 In her 44 years at Wiener Staatsoper—from 1948 through 1992—she reigned in the Wagner and Strauss repertoire, but eventually began a transition into mezzo and character roles. She also created roles in world premieres and showed no fear of contemporary opera. In the first week of her Wien debut, she sang Carmen, Octavian, and Maddalena in Rigoletto (all with Helge Roswaenge). Her final performances on the House on the Ring were as The Countess in Pikovaya dama with Vladimir Atlantov and Mirella Freni. She was 80-years-old at the time. Born in Nürnberg in 1912, she worked as a bookkeeper and secretary, waiting till age 28 to begin vocal studies. After quickly establishing herself at Germany’s regional companies she was invited to Covent Garden for Carmen in 1949. All the major houses—from Hamburg and Bayreuth to La Scala and the Met—booked her in the following decade. While starting with lighter roles such as Hänsel and Cherubino, her move into the dramatic repertoire began with Kundry in 1949. Wieland Wagner heard her in the role in Hamburg and invited her to repeat it Bayreuth for the reopening of the Festspiele in 1951. She sang the Brünnhildes, Kundry, Isolde, Gutrune, and the Third Norn auf dem Grünen Hügel every summer through 1960. She thereafter appeared sporadically as Waltraute and Fricka through 1967. Elsewhere she delved into Verdi as Lady Macbeth, Ulrica, and Preziosilla. Leonore in Fidelio was another favorite role, which she also recorded with Furtwängler. In the 1960s she became known for roles such as Klytämnestra, die Amme in Die Frau ohne Schatten, Waltraute, and Leokadja Begbick in Aufstieg und Fall der Stadt Mahagonny. Little is known of her personal life. She never married and lived with her mother. Until her final years, she remained a creature of the stage, singing Tchaikovsky’s Countess at age 87 in Mannheim. She died two years later in Stuttgart in 2001. Post scriptum: If Wagner isn’t your thing, you may enjoy last Thursday’s night’s opening of the Bregenzer Festspiele with Rossini’s Mosè in Egitto.